Sunway University have a very strong strategic partnership with Lancaster University in the UK. Many of our degree programmes lead to dual awards with certificates awarded by both universities. Lancaster University is ranked consistently among the highest quality institutions in the UK featuring in the top 12 in all of the major UK league tables. It is also ranked in the top 1% of universities worldwide. It is a member of the prestigious N8 Group, which consists of the eight most research-intensive universities in northern England. Collaboration with an international partner of this prestige is one of our very special features. 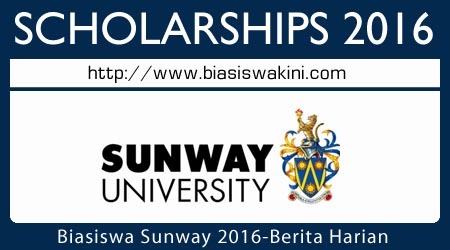 Sunway University or Sunway College in cooperation with Berita Harian is offering higher education opportunities to students who graduated with SPM and STPM for the year 2015. 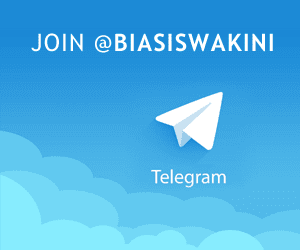 0 Komentar untuk "Biasiswa Sunway University With Berita Harian 2016"